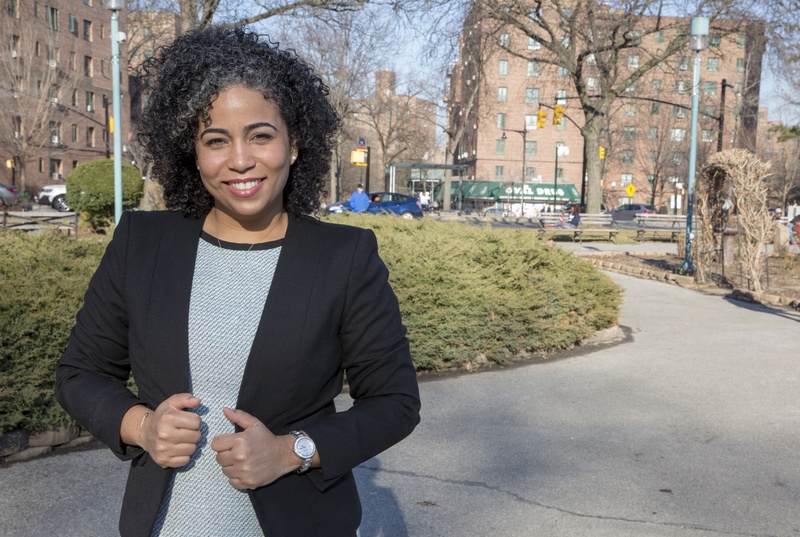 Karines Reyes has been a Bronxite for nearly 20 years. Born in the neighborhood of Los Minas, Santo Domingo, in the Dominican Republic, she moved to Puerto Rico in her early childhood and later immigrated to the United States with her mother at the age of 6. She is a registered nurse in the Oncology Department at Montefiore Einstein Hospital. Karines has two young sons and has been balancing the tasks of being a nurse, union representative, activist, and volunteer without neglecting the duties of her most important job- being a mother. Karines has devoted much of her career, both in labor and in nursing, to helping others. She has made it her life goal to be sure to represent those who need it most and will continue to do so if elected into office. Contributions are not tax deductible. The maximum contribution amount for each election cycle for State Assembly is $4,400.